Plastic bans across various Indian states have been in the headlines for over a month now, with Maharashtra abandoning plastic and Tamil Nadu announcing plans to follow suit from January 2019. A partial ban on plastic is in place in five states in India — Gujarat, Odisha, West Bengal, Kerala and Goa. 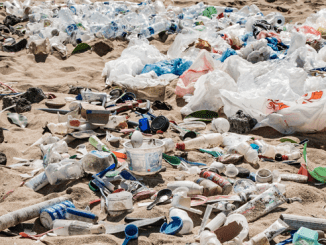 Indian cities have joined others around the world in observing a plastic-free July, and there are various initiatives underway to spread awareness and encourage rejection of single-use plastic. However, in this much-needed discourse around plastic and its ill effects, there has been a notable lack of attention given to a form of plastic that is proven to be among the most hazardous elements for our environment and public health: Thermocol. 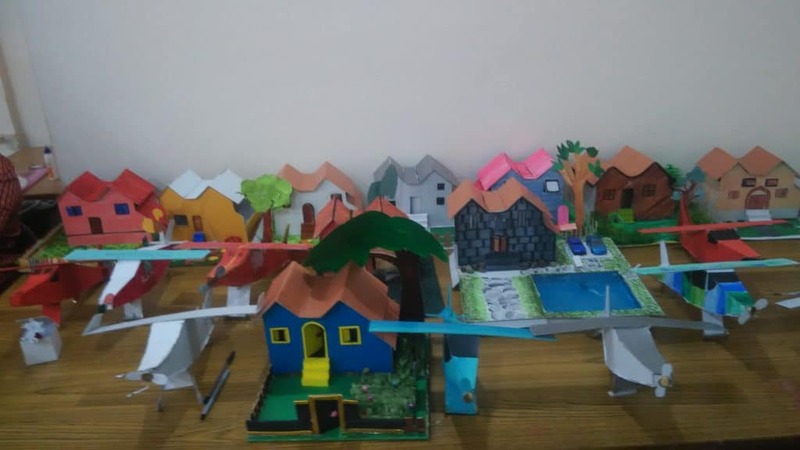 It is ironical that a Google search on environmental projects in schools yields several images of thermocol-made exhibits, on various subjects including “Save trees and recycle plastic”. Thermocol is also used as cheap raw material for decor items used in festivals and social events. Thermocol, a brand of the German company BASF, is actually an expanded form of Polystyrene, a polymer (also known as styrofoam, a brand of Dow Chemical). Due to ease of handling, thermocol has evolved to be the most sought-after material in education and packaging sectors. However, a majority of citizens remain oblivious of the adverse effects of Polystyrene. Thermocol remains the most preferred raw material for school projects. It is mostly lack of expertise and awareness that lead teachers and parents to opt for thermocol in most cases, as they help their wards with school projects. A student in Chennai talks about the time that she used thermocol for a science project at the SMHS Nursery and Primary School of Kundrathur. “Only five in my class of 43 students had used cardboard. 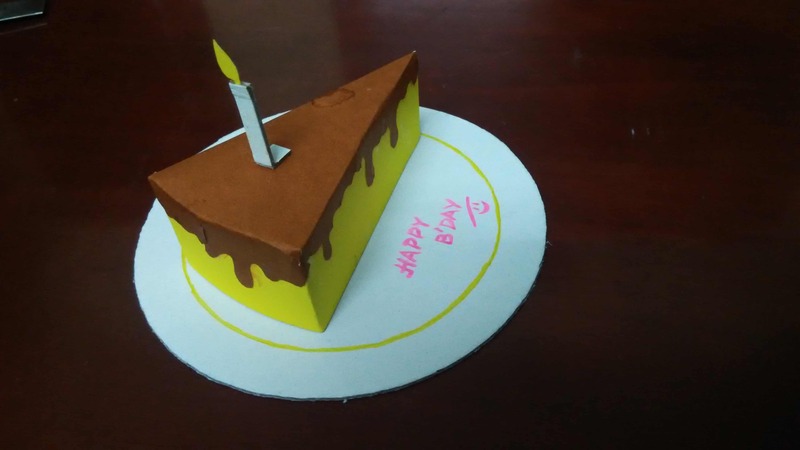 Since my mother did not know to make the project with cardboard, we opted for thermocol,” says Vinisha (name changed). “Schools have not given us any guidelines or instruction about not using thermocol. Secondly, the school management should organise training sessions for children and parents about alternatives and ways to use them,” said Shridhar V, parent of a Class 9 student in Bengaluru. “Ninety percent of projects are thermocol-based. A ban would be successful only when students switch to eco-friendly ways. This can be encouraged by conducting training sessions,” said Mohan Chander, Principal, Rajkumar Sulochana Matriculation Higher Secondary School in Chennai. Environmentalists say that the discomfort with cardboard is primarily due to conditioning. “Cardboard is actually sturdier than thermocol. The breakage rate of cardboard is also less than that of thermocol. It’s the perspective of the people that needs to be changed,” says S Umamaheswari, co-founder of Karam Korpom-SAPS, a Chennai-based organisation that focuses on preventing the abuse of public spaces by transforming them into beautiful art corners. Cardboard is also relatively cheaper than thermocol. A 3/4 mm thick and 2 feet long cardboard sheet costs Rs 20 where as a 0.5 mm thick and 3-feet thermocol sheet costs Rs 25 on average as various stationery shop owners will tell you. But what is wrong with thermocol? Thermocol is recyclable, however the cost of recycling is too high for non-producers to invest in the required machinery. The end point for most thermocol is inevitably the landfills or the sea, where fish and shark consume it. “Thermocol has no recyclable economic value. 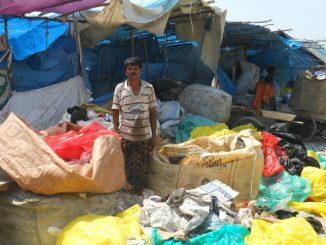 From the workers involved in making it, its users, right down to the casual labourers burning it in landfills, thermocol poses serious health hazards for everyone associated with it,” said Dharmesh Shah of Gaia, an organisation working on zero waste and a member of the Vettiver collective. If not thermocol, then what? Environmentalists now suggest several eco-friendly alternatives. “Thermocol that is commonly used in the packaging industry can be replaced with biodegradable mycelium packaging. Our traditional, age-old method of using hay for packaging can also be re-introduced,” felt Dharmesh. One of the most rampant uses of thermocol is in making disposable plates and cutlery items, due to its cheap price and stiffness. However, stories from Himachal Pradesh, a state that has banned thermocol cutlery, prove that alternatives are ample only if we care to look for them. “We are getting offers from many manufacturers, who display products made of sugarcane and bamboo pulp as alternatives of plastic. Biodegradable cutlery in fact costs less than thermocol, as they are mostly byproducts of waste,” said Nazeem Mohammed, who owns a restaurant in Kasol in Himachal Pradesh. Several manufacturers now also sell cutlery and crockery from areca nut leaves on various e-commerce platforms or through their own sites. Disposable cutlery Cutlery made of sugarcane waste, areca nut leaves and other organic material. The one thing that emerges clearly from various conversations around the issue is that the deep-rooted thermocol culture can be changed only through individual efforts and sustained awareness campaigns. Parents and teachers must usher in change by switching to eco-friendly replacements. The first step towards reduction of non-recyclables is to stop buying, says Monika Khanna Gulati, a mother and zero-waste evangelist from Gurgaon. A mother of two kids, studying in class seven and class eleven, Monika has encouraged her children to always reuse or recycle craft and toy items or existing packaging material to create new things. “We have had a series of discussions with our kids and have looked for sustainable materials for school and play projects together. That way, children also learn to take informed decisions. We rarely step out to buy new materials for projects – because when you buy, you are consuming and creating more waste. Almost all our projects are made from old recyclables or packaging material which have found their way into our home. Cardboard, thread and newspaper are all time favourites,” Monika shares. But what about the visual appeal? Monika has an answer for it. “The surface may need treatment while using recyclables. Very often, a brush of paint or some recycled wrapping paper from a birthday party return gift does the camouflaging trick,” she said. 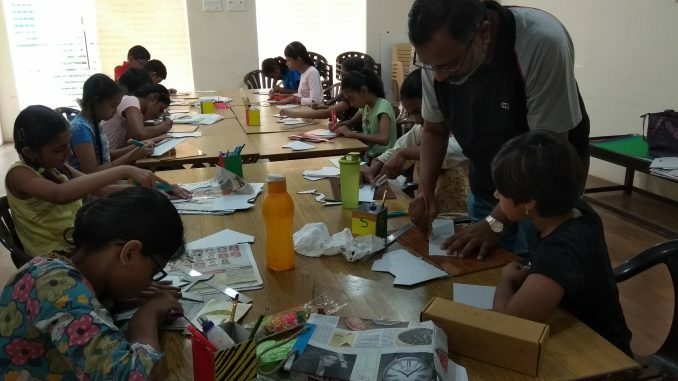 In a workshop organised by Karam Korpom in Chennai in May 2018, children and parents were taught how to build models using cardboard and paper, step by step. The motivated children also promised to switch to cardboards to bring about a change. “Rather than throw cardboard into the dustbins, they can be transformed into pieces of art. Parents were also sensitized to the need to avoid plastics and thermocol, in a bid to make the world a better place for their children,” explains Uma. Really a good article about thermacol.. An awareness about it to school kids at the early age would make them more eco friendly.. Schools should also be strict to implement the change..
Great article for spreading the awareness on the bad effects of poly styrene and to look for alternatives. Recently, I had been interacting with a person who makes bed out of foam, coir and cotton. He informed that Thermacol is being used in making beds in some hospitals instead of coir, due to non availability of coir sometimes and to reduce the cost. Polystyrene in hospitals is still a worse scenario.